With a spike in the popularity of astro-photography coinciding with the drop in price of DSLR cameras, taking star-trail photography in some of the world’s most beautiful places is becoming a way of life for some travellers. There are two options; either you open the shutter for a long time to allow the stars to blur, or you take a series of short exposures and stack them using software. The former is the ‘old’ way and usually means a shot that’s too bright, and with much shorter trails. The latter takes longer, but is infinitely better thanks to StarStax. Polaris (the North Star) sits directly above the North Pole, and appears to stay still at all times. Point your camera at Polaris and you’ll get a circular star-trail. Obviously this brings limitations since your camera has to face North. For instance, if you’re on the north rim of the Grand Canyon, getting a shot of the canyon and a star-trail above is a nonstarter – you’ll need to swap ti the south side. Think about what you want to do before you settle in for a star-trail session. Here’s how to find Polaris. Point the camera at Polaris, remembering to get some foreground in the shot, too. Once you have produced a clear/sharp/nicely exposed shot, repeat the process constantly until you have about 100 images (more if you can stand it). 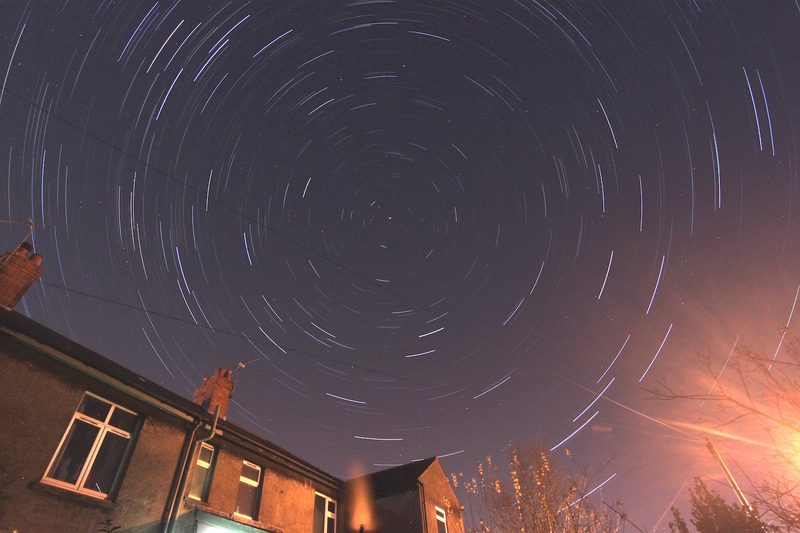 Download StarStax to a laptop, drag in the images, and in a few seconds it will compile a beautiful star-trail!